Monday 29th July saw hot new duo, Alice Louise (vocals) and John Kerry (vocals/guitar) in the studio playing some of their songs on air on the show, which was magical. Also having recently come back from Quimper Music Festival in Brittany,I played quite a few music tracks from bands that I saw there. Last Monday - 16th July - I came in from the hot into an even hotter studio to play some hot tracks of music from all over the globe. Our trip started in Spain and went to South America to capo Verde to the African mainland, out East as far as Mongolia and back to Eastern Europe and France before returning to the UK and Ireland with a brief soujourne out to Northern America. We get around on Roots and Shoots. 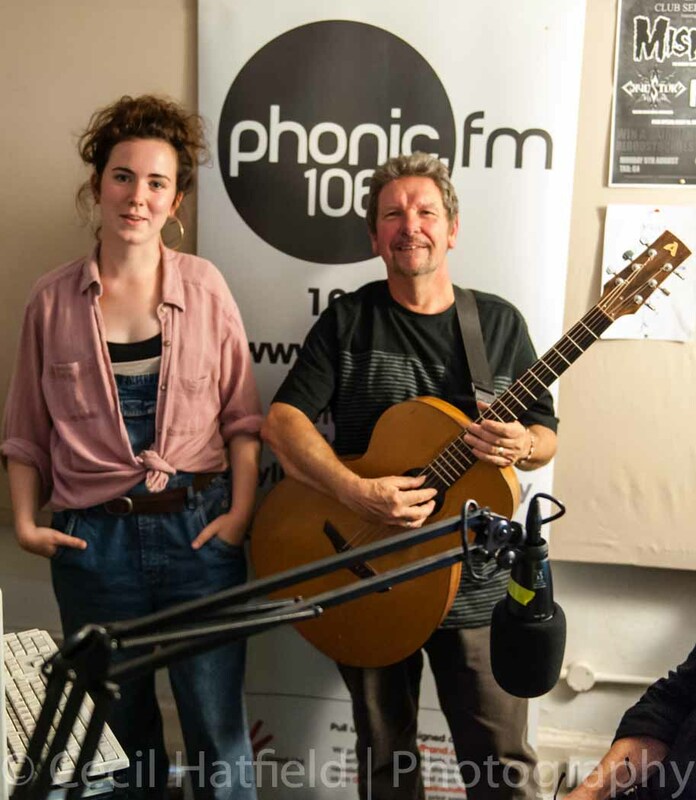 Next time I'm presenting on 29th July, Alice Louise and John Kerry, a brand new hot duo from Devon's western outback will be playing some of their songs in the studio. Don't forget to listen in. Wagadou..Bassoukou Koyata & Ngoni Ba. 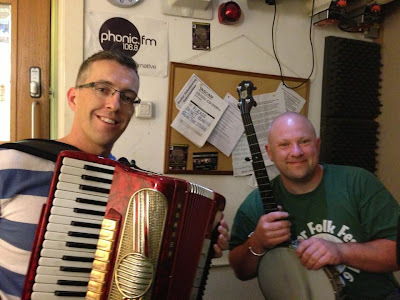 Jason Rice and Rob Murch from The Dartmoor Pixie Band joined Martin Hodge today to talk about the Dartmoor Folk Festival which takes place from 9 to 11 August 2013 in South Zeal. Crooked Stove Pipe / Jumping Cactus; Off To Baltimore Set; Red Wing / Tavern In The Town. Check out the Dartmoor Folk festival website and Facebook page for full details of what is happening. Good question. Perhaps listening again to Mezkala on Soundcloud will help answer that question.